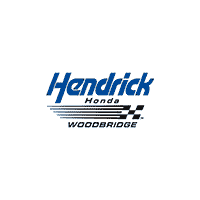 At Hendrick Honda Woodbridge of Woodbridge, VA, our goal is to provide you with the best vehicle buying experience in the northern Virginia and Washington, DC area. We strive to provide hassle-free buying and full automotive service. Hendrick Honda Woodbridge is proudly part the Hendrick Auto Group. Founded in 1976 by NASCAR legend Rick Hendrick, today the Hendrick Automotive Group 79 dealerships and 21 collision centers across 12 states. As part of our commitment to providing the best car buying in northern Virginia and Washington, DC, we invite you to experience the Hendrick Honda difference. Take our 30-minute challenge: we cut through all of the car buying hassles giving you our best price and trade-in value in 30 minutes or less. The Hendrick Honda difference does not stop there. Our experienced staff is dedicated to you and your happiness with your new car, truck or SUV. If you ever need us or aren’t happy for any reason, come back and let us make it right. We understand life does not fit into the 9-5 hours of most dealership service departments. At Hendrick Honda Woodbridge, we believe convenience is important. Our parts and service departments are open 6 days a week to take the hassle and worry out of car service. Our service department is staffed with ASE certified mechanics standing by for all of your vehicle maintenance needs, including regularly scheduled maintenance and oil changes. Our mechanics can perform warranty work for your new Honda as well as repairs for all extended warranties. At Hendrick Honda Woodbridge, we proudly serve customers looking for their next new or used car, truck or SUV from cities around the northern Virginia and Washington, DC area including Fairfax, Arlington, Manassas Park, Alexandria, and Fredricksburg. Be sure to explore our Hendrick Certified warranty before stopping by! Call, click, or come by Hendrick Honda Woodbridge conveniently located in Woodbridge, VA today and let us show you the car of your dreams.